On February 6, 2005, the Phidelphia Eagles played the New England Patiots in Super Bowl 39. 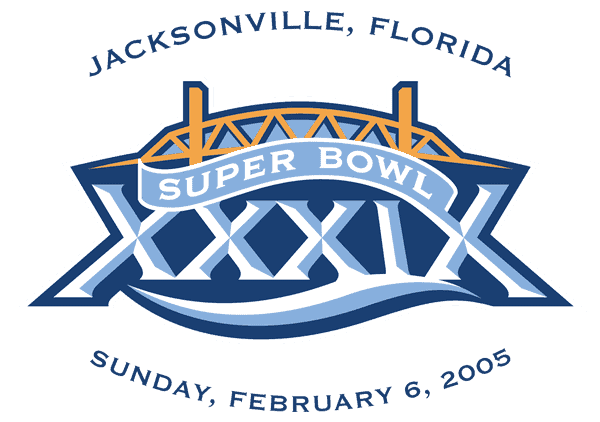 The game was in Alltel Stadium in Jacksonville, Florida, and resulted in a 24-21 win for New England. With these 2 teams set to face off again in Super Bowl 52, let’s take a look back at how that game played out and compare it to 52’s expected results. The Eagles had QB Donovan McNabb at the time. They also had infamous WR Terrell Owens. Head coach Andy Reid was on a mission to bring the Eagles to a Super Bowl, and he did just that. Owens was not supposed to play in the Super Bowl because of an injury, but somehow circumvented doctors and was able to get out on the field. They had beat the Minnesota Vikings and Atlanta Falcons with ease in the Playoffs. On the other side of the ball, coach Bill Belichick and Tom Brady were going for their second Super Bowl championship together. The Patriots had WR Deion Branch, David Givens and David Patten. New England destroyed Peyton Manning’s Colts in their first Playoff game, then went on to blow out the Steelers in the AFC Championship. The Super Bowl was neck-and-neck for most of the game. The first quarter was a defensive showcase with turnovers and 3-and-outs. Neither team was able to score. The Eagles put the first points on the board in the second quarter through a touchdown pass to L.J. Smith. With just over a minute before halftime, Brady answered back with a touchdown pass to David Givens. Mike Vabrel opened things up in the second half with a touchdown for New England. The Eagles answered with 3 minutes left through Brian Westbrook 10-yard touchdown. The fourth quarter started tied at 14-14. In the beginning of the fourth, New England drove down the field and scored a rushing touchdown. The Eagles were stopped time and time again, and then Patriots K Adam Vinatieri scored a field goal to make it 24-14. Things looked bleak for the Eagles, but with 1:48 left in the game, McNabb threw a 30-yard bomb to Greg Lewis for a touchdown, making it a 3-point game. Philadelphia attempted an onside kick but failed to get the ball back. NE played the safe route and ran 3 run plays, forcing Philly to use their timeouts. Poor clock management and rushed plays led to the Eagles downfall. This year, both teams have talented receivers and backs available. Brady and Belichick are still around, but the Eagles have a new staff and roster. This game is expected to be a close shootout with the point spread set at 3. Online betting experts project this to be a similar score to Super Bowl 39. This would be good for the fans, as no one wants to see a blowout. If you’re placing Super Bowl bets, it is a tough one to call, but the Eagles look hungry and want to avenge their Super Bowl 39 loss. Can the Eagles Perform Without Home Field Advantage?